Autumn Rain in Rachel Ann Nunes' book Imprints eats as organically as possible. Today's recipe is inspired by her motivation to eat foods in their raw state. These little bite-sized cookies are like their big cousins, thumbprint cookies. And because they are tiny, you can eat lots of them without feeling guilty! Preheat the oven to 350. Line two baking sheets with parchment paper. In a large mixing bowl pour the warm, melted coconut oil over the honey and whisk in the vanilla extract. In a separate medium bowl combine the flour, oats, cornstarch/arrowroot, sea salt, baking soda, and lemon zest. Add the flour mixture to the honey and stir until just combined. Let the dough sit for 2-3 minutes. Stir once or twice again - the dough should be quite stiff. Roll the dough into balls, one level teaspoonful at a time, and place an inch or so apart on the prepared baking sheets. These will spread. Use a (damp) pinky finger or the back of a very tiny spoon to make a well in the top of each ball of dough. Fill each "well" to the top with 1/8 teaspoon of jam. Bake for 7 - 9 minutes or until the bottom and edges of the cookies are just golden. It’s been awhile since I have read any of Rachel Ann Nunes’ (pronounced noon-esh) books, and I have to say that I liked this one quite a bit. For me it was a quick read because I was so interested that I wanted to see what would happen. That I wanted to keep reading is a good thing. And the cover is beautiful. 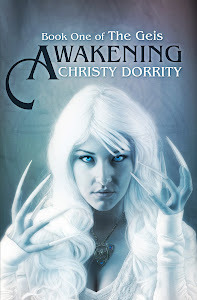 Because the character is over thirty years old, this story bridges the gap for those of us who love to read YA paranormals, but sometimes tire of all the teen drama that goes along with them. This story is told through the eyes of Autumn Rain (cool name huh? ), a single adult who has an established career and is still looking for love. The idea of imprints-the ability to glean impressions and memories from objects is gripping, and plausible. I sometimes feel emotion when holding relics of my own, don’t you? So this ability of imprinting is quite believable for me. It opens up hundreds of story possibilities for the author and I am anxious to see what Autumn does next. I like her friend, Jake. He’s unique (owns an herb shop, and has dreadlocks), and as a reader I want to scream out to Autumn that he loves her, can’t she see it? Also, the other romantic interests, Detective Shannon, and Ethan were interesting in their own rights and I liked them both. The banter and tension between Autumn and Detective Shannon were fun. Autumn’s twin Tawnia brought a softness and hominess that provided a great contrast. I am fascinated by her ability to draw what is happening to those she loves. The premise of a commune where people can live together and share each other’s burdens was fascinating. I wanted to see what the commune was truly about underneath the fascade they wore to lure others to them. The time that Autumn spent there was interesting and kept me reading. Often suspense novels that involve disappearances can be gory or violent and the Nunes toned both of those down, much to my relief. The action and the ideas were every bit as suspenseful, and I don’t have to harbor icky scenes in my imagination. The final scene between Autumn and Jake did not live up to my expectations. I say that tongue-in-cheek because I know that love scenes rarely do. We wait for them for the entire novel, and when it happens, we feel a sense of let down. And I realize, too, that the author may be setting the stage for future books if this is going to be a series. Still, I would have liked the scene to be longer, and with more emotion. Though I appreciated the fact that Autumn was strict about her diet, preferring to eat things in their organic and natural state, I started getting a bit annoyed hearing about it. It was interesting at first, and it played a role later in the book, but for me it was overkill. 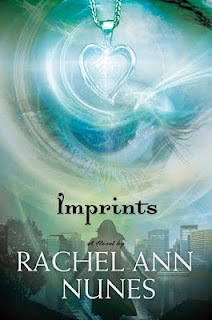 Imprints is a fast-paced and interesting suspense novel for adults that has a YA paranormal feel to it. Rachel, we want to read more about Autumn Rain! *note: When I wrote this review I was not aware that this is the second book in a series, following "Eyes of a Strange". Kuddos to Rachel Ann Nunes for writing such a great book that it stands on its own! I first read Rod Vick's work in the form of a serial story called "The Irish Witch's Dress." I was impressed with his storytelling ability and the way he wove Irish dance into an adventure. Because I am interested in doing the same with my writing, naturally, I wanted to read more. Rod was kind enough to grant me an interview. 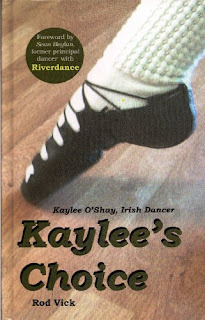 The first Kaylee book was inspired by my daughter, Haley’s, love of Irish dance. We noticed there really weren’t books out there with Irish dancer characters, and so I thought about writing one. I actually outlined eight in case people liked the first. They did, and so I wrote Green Storm, Fire & Metal and the rest. In each book, Kaylee gets a year older and faces different challenges related to dance and growing up. I should note that these are fiction and do not tell the story of my own daughter’s dance career. However, I think the conflicts faced by Kaylee resonate with dancers and non-dancers alike. As with all art, I think there are messages the author has in mind, and there are messages that the reader constructs on his or her own. As in real life, messages are sometimes Big Idea messages, and sometimes very subtle. The major message in Kaylee’s Choice is that making choices is hard. We reach a certain age and realize that we can’t have it all, that some things have to be sacrificed for others. At one time my own daughter was taking piano, viola, flute, dance and gymnastics classes as well as playing softball. Eventually, she had to decide what to keep on her plate, because the time commitment increases as you become more competent and passionate about something. There are lots of little messages in Kaylee’s Choice, too, regarding friendship, adult-child relationships, cruelty, money, finding life’s passions, etc. Yet, I wouldn’t be surprised if readers find others as well. As I mentioned before, they don’t tell my daughter’s story, but they’re a pastiche of what I’ve observed dancers and adolescents going through as they grow toward adulthood. The second book, Green Storm, finds Kaylee dealing with the heartbreak of a broken leg right before her first dance competition. In the third, Fire & Metal, Kaylee’s parents are forced to move after Mr. O’Shay loses his job, and that’s traumatic for her because of the friends she will lose, as well as having to leave her dance school. In Christmas in Ireland, Kaylee’s favorite aunt becomes seriously ill. We all face issues similar to these, and Kaylee’s role is to guide us through her singular experiences with them. I see writing mostly as a passion, whether one does it as a vocation or an avocation. You’ve got to love it on some level. Most writers don’t make a particularly good living. According to Writer’s Digest Magazine, 92% of the books published in 2004 sold 99 copies or fewer. The average book published in the United States sells 250 copies in a year. That’s not going to put the kids through college or build that winter home in Boca Raton. Personally, I hold down a day job as a writing instructor. I love that as much as I do the writing process. The Kaylee books do well, but until Disney options the movie rights, I’ll hold onto my day job. I’m working on my third serialized novel for Feis America Magazine. It will begin in their November-December issue as is titled “The Day the Feis Stood Still.” It’s about an Irish dance competition (a feis—pronounced FESH) being held in the 40th-floor ballroom of an old Chicago hotel. The police arrive and tell the 400 dancers and their parents that there’s an emergency on the lower floors and that they’ll have to stay put for the time being. No stairs, no elevators. But the police are vague about the nature of the emergency. One dancer, Maddie, and her friend, Elle, become suspicious and brainstorm a way off the 40th floor so that they can find out what’s really going on. I’m also working on a CD coming out in the fall, called “The Haunted Island Feis.” I’ll also have another novel, The Irish Witch’s Dress, coming out in paperback in October. Where can a reader purchase your books? I’ll toss out the three big principles I tell my students: DJTUSU (Don’t Just Tell Us, Show Us), Get out of the box, and Writing is rewriting. And here’s another: If you really want to write, you’ve got to make time to write. You can’t just do it when everything else is done for the day. A person who says, “I’ll write from 8 to 10 p.m. every night” will accomplish far more than the person who says, “I’ll write if I get time.” Writing is like dieting: If you only do it when it’s convenient, you don’t lose a heck of a lot of weight. Decisions, decisions. I bet you can't decide which of these dips you like the best. It may be an easier pick than the dilemma faced by Kaylee in the book Kaylee's Choice by Rod Vick. Because I test every Tasty Tuesday recipe in my own kitchen, I have been searching for great recipes that are healthy and low calorie (Check out the main ingredient in the guacamole recipe). I don't really follow a recipe for this salsa. Just chop everything up and let it sit in the fridge to blend the flavors. Eat it with your favorite chips. Mine are the Hint of Lime by Tostinos. Place peas and water in a saucepan; cook for about 2 minutes or until heated through. Drain; place peas in a food processor or blender. Add sour cream, avocado, lemon juice, garlic, cumin and hot pepper sauce; cover and process until smooth. Stir in tomato and onion. Cover and refrigerate for 1 hour. Serve with vegetables or tortilla chips. Yield: 1-2/3 cups. Note: This recipe stays green overnight and does not brown. Nutritional Analysis: 2 tablespoons of dip equals 25 calories, trace fat (0 saturated fat), trace cholesterol, 25 mg sodium, 4 g carbohydrate, 0 fiber, 1 g protein. Diabetic Exchanges: 1 vegetable. Join Kaylee and discover with her why so many girls (and boys) willingly endure wigs and sock glue (yes, glue for their socks) to Irish dance. Kaylee’s relationship with her dad is realistic. Although they have disagreements and don’t always agree, father and daughter love and sacrifice for each other. The fact that her father wanted her to take soccer because he had loved it addresses the whole "stage mother" issue that I try not to succumb to with my own children. I also relate to Kaylee's attept at prioritizing. Daily I look at the various activities and responsiblities my children and I have taken on and try to keep them in perspective. Which is most important? Can the laundry wait until tomorrow? How can we compromise and keep everyone happy? The setting of the dance studio jumped out at me. How cool is a studio built out of an old bowling alley? I want to go see it. Vick does an excellent job explaining the idiosyncrasies of Irish dance and helping the reader with pronunciations. Here's an example of the word ghillie: "The way she pronounced it made Kaylee think of something a small fish would breathe through" p 20. Also addressed in the book is the monetary reality of a hobby such as Irish dance. Through Kaylee we get to see the costs involved and the sacrifices made by both daughter and parents for such a pastime. I loved the character of Helen, a gruff granny teacher who doesn't mince words. I didn't enjoy the relationship Kaylee had with her grandmother and that thread of the book didn't work out for me in the end. Although I liked how the issue was resolved, the grandmother and grandaughter still felt estranged. The first in a series, Kaylee’s Choice will appeal to those who have already fallen in love with Irish dancing, as well as those who have never before heard of it. The book is especially suited for middle grade readers. 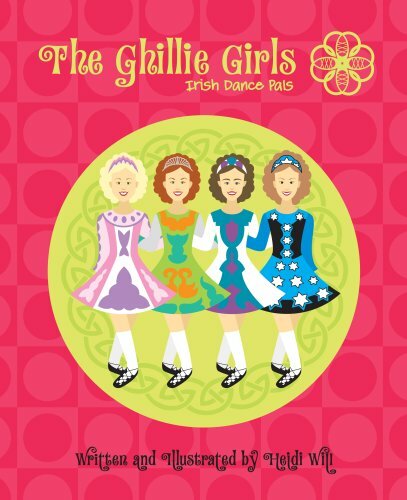 The book introduces four very different girls who have one thing in common: a love for Irish dance. Heidi Will uses these girls to illustrate the terms and language that is unique to Irish dance. Vocabulary blurbs define the words that are sometimes foreign to the beginning Irish dancer. I love the information page in the back page that includes vocabulary, Irish dance history and direction of where to find an Irish dance school. I would love to see more of an adventure with the girls (perhaps later books are planned for the Ghillie Girls to adventure in). The book is very informative, but I would like to have seen a bit more conflict and resolve, which easily could have been slipped in towards the end when talking about competition. This early reader/middle grade book is a pleasant romp through the world of Irish dance. *The only compensation I received for this review was a copy of the book.